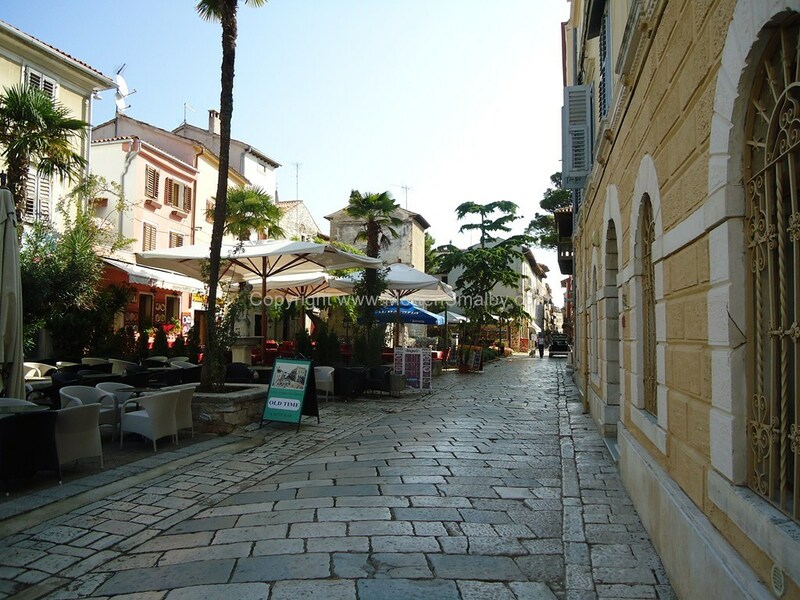 The town of Porec is situated on the western coast of Istria. With its surrounding region, Porec today has about 17,000 inhabitants. During the summer it welcomes more than 70,000 tourists. The small peninsula, where the heart of the old city lies has been inhabited as far back as 6,000 years ago. After conquering the peninsula two thousand years ago, the native inhabitants Histri, and the Romans established in this location their colony called Parentium. During its storming past, Byzants, the Venetian Republic, Napoleon’s France, Austrian-Hungarian monarchy, Italy and finally Yugoslavia ruled over the town. The old town is a cultural monument by itself. There is a sacral complex, the Euphrasian Basilica from 6th century. The mosaics that decorate the interior and the facade of the church are amongst the most beautifully preserved works of Byzantium art. UNESCO has classified the whole complex, since 1997, the world’s cultural heritage site. 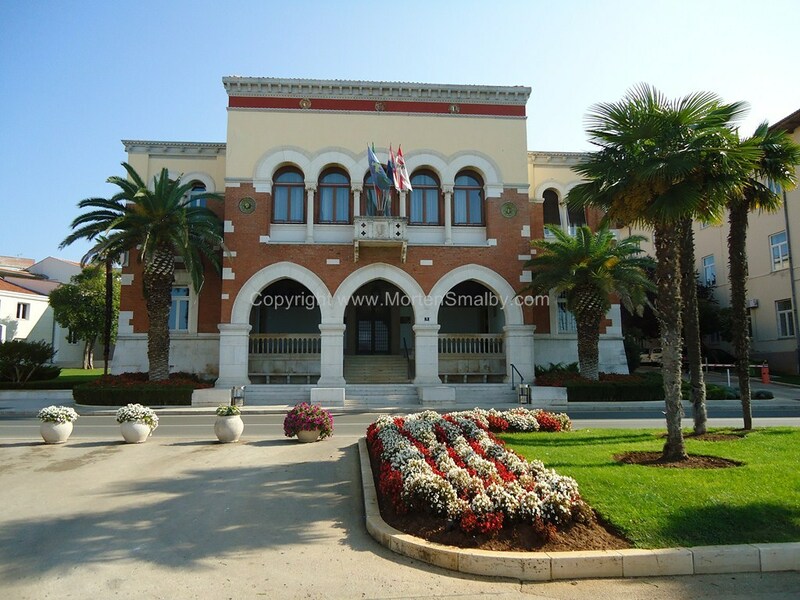 Porec is another popular place with foreign buyers to purchase a second home or investment property. Poreć is in Istria which during the 19th century Austro-Hungarian administration introduced an Istria cadastre and land registry. Since then successive governments have taken care of cadastre and land registry which is why the Istrian property market is better regulated than the other areas in Croatia and hence it has proven very popular with Croatia property buyers for a long time now. Poreć real estate has, in the past, mainly attracted Italian, Austrian & German buyers. Although more recently the British have been buying in, especially the old stone houses and other heritage properties. Poreć like many other parts of Istria suffered a construction boom during the late 1990’s and early to mid 2000’s during which time a lot of new apartment buildings were built to satisfy strong demand from foreign buyers. During that time prices rose considerably and peaked in 2007, but have in recent years fallen by as much as 30%. It is therefore a very good time to buy property in Poreć as a second home or investment property but always remember to chose your location carefully. It is possible to buy an apartment for €1600 / m2 in lesser locations but to buy near the sea or in a prominent location price start from €2500 / m2 . Find real estate Croatia with FIRST property Croatia. We are a Croatian real estate agency with a wide selection of available properties. If we do not have the property you are looking for we also have a dedicated property finding team who search and find opportunities according to our Clients demands. Contact us today for more information. Godens Real Estate Agency is company for property trade and tourism. Agency Godens provides all types of properties in Istrian region in Croatia. Also, if you plan to visit Croatia we can assist in booking your accommodation. We offer flats, houses, land, business premises and letting. The agency Godens will give a professional advice for all clients in all possible bureaucratic issues when buying a property from valuation up to guidance when investing. Herak Real Estate Agency is company for property trade and tourism. Agency Herak provides all types of properties in Istrian region in Croatia. Contact us via e-mail info@herak-nekretnine.hr or via telephone. We offer flats, houses, land, business premises and letting. The agency Herak will give a professional advice for all clients in all possible bureaucratic issues when buying a property from valuation up to guidance when investing. We are a Croatian real estate Agency with over 10 year experience. Our local knowledge of the places, people and their habits will help you decide where you would like to have your own holiday home, to buy a property as an investment or even to relocate. Our website is constantly updated with new properties for sale. Agency Nel Blu will give a professional advice in all possible bureaucratic issues when buying a property, from valuation to guidance when investing. We wish you good hunting! Since 1996 our company has been specializing in brokerage and transfer of real estate, as well as in the building industry. We are located right in the centre of Porec. Our team of 15 highly qualified experts provides professional extensive experience and knowledge in the sector of real estate transfer. Our company is at your disposal to offer you a wide range of high quality consultancy services and specialized assistance in the purchase and sale of real estate, renovation, reconstruction, new construction and maintenance of old and new real estates. Our best advertising and greatest satisfaction come from meeting the clients’ requirements. We follow them from the beginning until the end of the negotiations.